Last month, aviation leaders gathered at National Business Aviation Association Business Aviation Convention and Exhibition (NBAA-BACE) to discuss the latest trends and innovations in business aviation. Connected Aviation Today captured some of the top takeaways from the show as well as an exclusive interview with David Stanley, Vice President of Sales for Collins Aerospace. Several different trends in the aviation space were covered this year at NBAA-BACE. There was a noticeable push for programs around women in aviation as well as igniting interest in the aviation industry among more young people. The modernization of aviation and how it relates to the business arena of the industry was also a hot topic. NBAA featured talks around important technological advances like the use of blockchain technology in data security and weather tech modernization from organizations like the FAA. Curious about the future of #weather for #bizav users? Join us in S320-ABC at 1:30 PM today at #NBAA18 & talk to representatives from @FAANews & @NWSAWC, as well as others in the greater aviation weather community in the “Weather Information Modernization and Transition” session. We also saw a strong presence from some of our editorial board members: Inmarsat, Iridium, and FlightAware. Collins Aerospace Collins also unveiled their new passenger experience portal for business aviation, featuring Internet Protocol Televistion (IPTV). 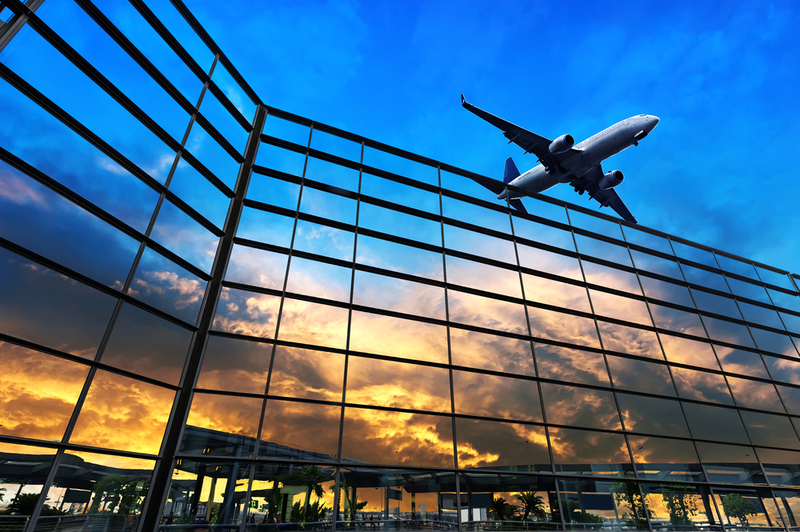 This portal speaks to the growing connectivity demands, especially among the business traveler community, and paves the way for access to more entertainment and connectivity tools in these aircraft. As we mentioned earlier, we also had the chance to connect with Collins Aerospace’s David Stanley about some of the predominant trends in the business aviation space currently as well as a glimpse into some of the key themes from NBAA-BACE 2018. Here’s a clip from our conversation. We look forward to seeing how the business aviation space continues to grow and change and anxiously await NBAA-BACE 2019!